Experience the maintenance-free lifestyle of our synthetic turf yard and you will wonder why you ever spent a weekend afternoon pushing a lawnmower. 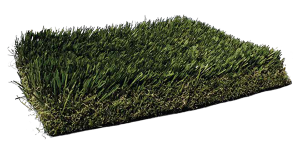 Our artificial turf products are so realistic your neighbor’s friends and family will not be able to tell it is not real. Not only will you have the perfect lawn but you will be the envy of the entire neighborhood. You can spend more time with your friends and family instead of maintaining your lawn. Your grass will never be overgrown, never needs watering, and never requires dangerous pesticides of fertilizers. Manufactured in the USA, ensuring we only deliver the highest quality. Be prepared to enjoy the PERFECT lawn. This is an extremely versatile product that can be used for most applications when a short pile product is needed.